Perfect for your exclusive celebrations. 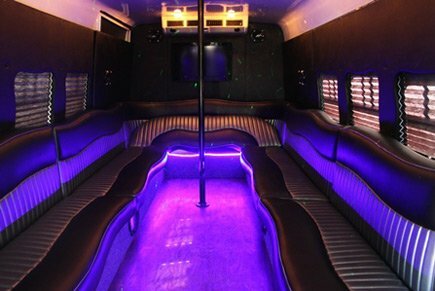 Get ready for an incredible night in Houston in this little party bus. 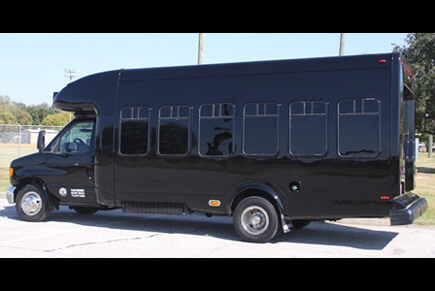 The smallest in our fleet, it is perfect for small gatherings of your closest friends. Enjoy a cool night away from it all as you crank up the music and hit the dance pole! Let your hair down after a long week and get wild in this amazing option. You'll also revel in the comfort of these luxurious leather seats, and bask in the glow of the elegant mood lighting. The best part of it all is that you won't be missing any of the amenities found in our bigger, more expensive options because we believe that everyone deserves the very best!